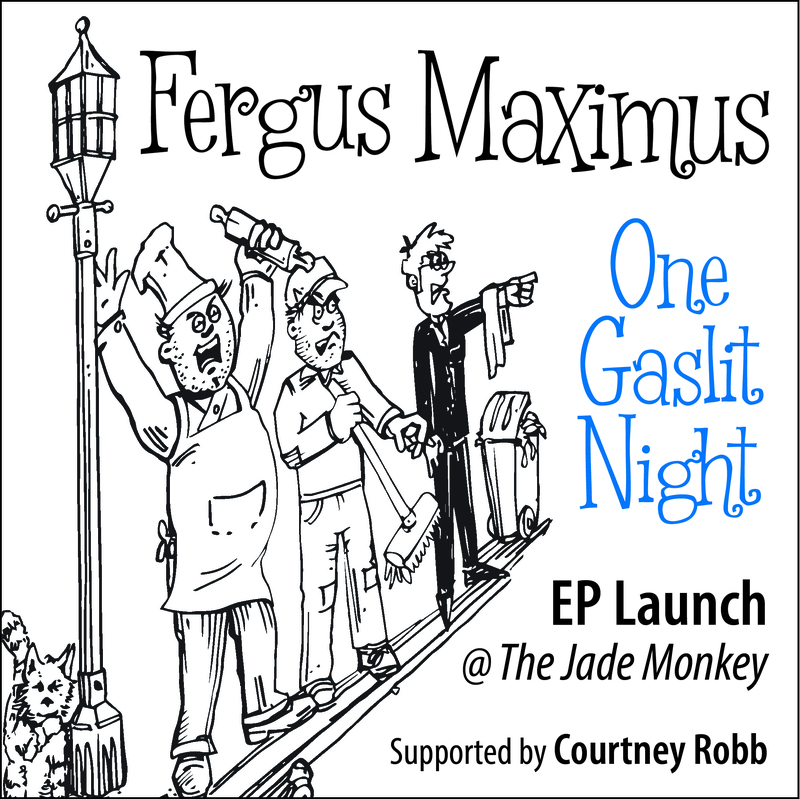 The new Fergus Maximus EP, ‘One Gaslit Night’ will be launched on Sunday, 17 July at The Jade Monkey. Ferg’s excellent bandmates, Kym and Jamie, will be around to do the heavy lifting so Ferg can enjoy being the performing monkey up front. The night will be kicked off by the wonderful Courtney Robb. One night only. Don’t miss out. Tickets through Moshtix.